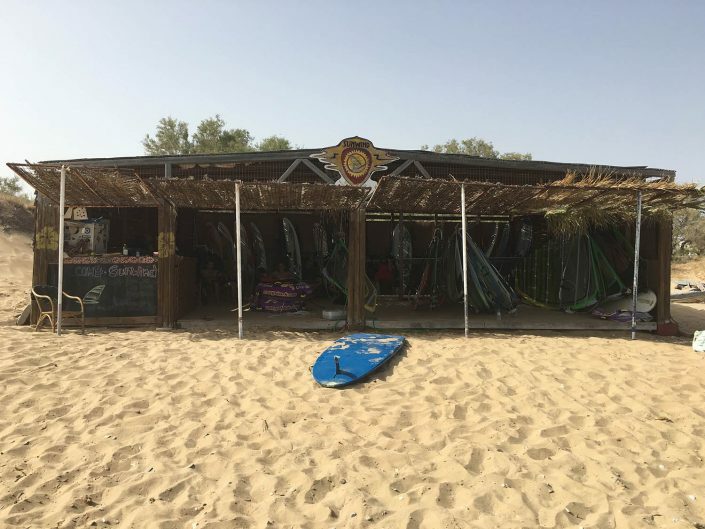 Sun Wind is a total water sports centre offering Windsurfing, Stand Up Paddle, Kayak, Tubes and other activities. All levels welcome. Have fun! Relax and enjoy. True to its name, Golden Beach is a beautiful, long stretch of golden sands. 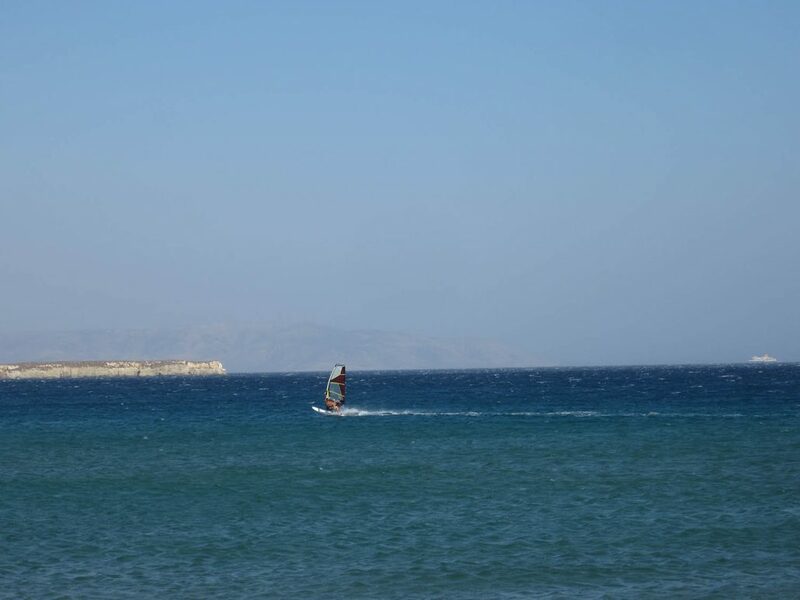 One of Paros’ longest beaches, it is an ideal windsurf site due to the famous “Meltemi” wind, blowing from the north 80% of the time in the summer. Our equipment is among the best boards and rigs on the market that best fit our conditions. Windsurfing lessons are offered for all levels. You may take just one lesson or book a series. 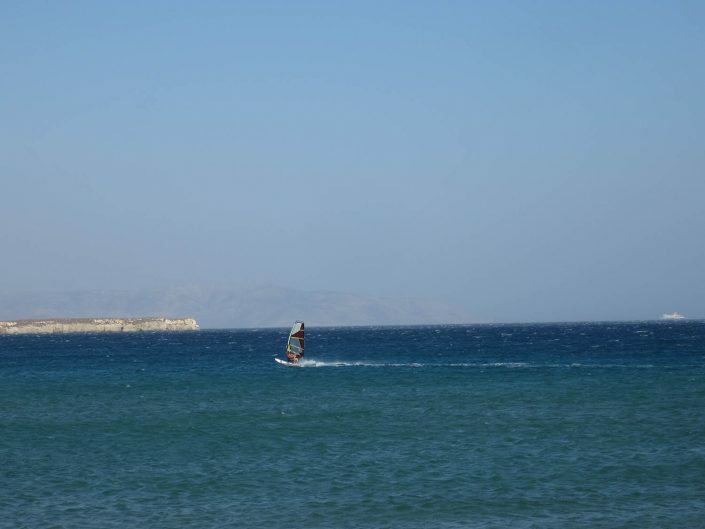 The wind at Golden Beach, is strengthened by the channel between the island of Paros and Naxos. Conditions are ideal for all levels of sailing. Inside the protected bay there is flat water while outside there can be chop and small waves. The wind is side-shore when it is less than force 5 and offshore when stronger. For those craving larger waves, it’s possible to take your equipment to Tsoukalia, a wave site just a 15 minute drive from Golden Beach. There have been many international and local competitions held on Golden Beach over the years. The PWAs World Cup was held three consecutive years at adjacent New Golden Beach. 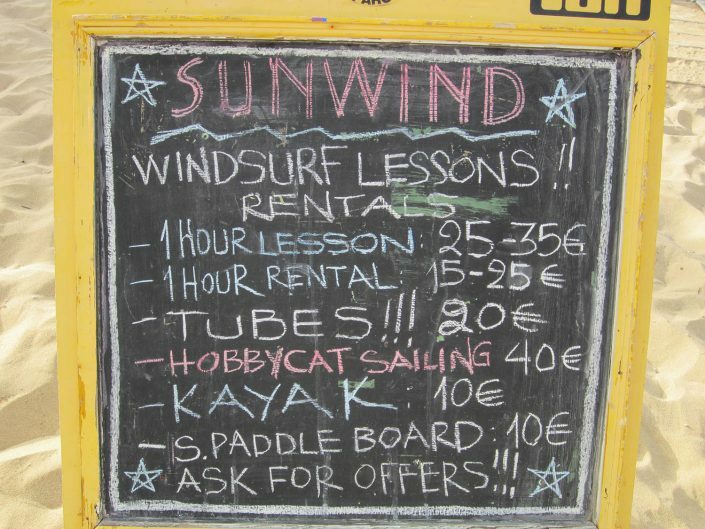 Our first-rate staff at Sun Wind, can give you a wealth of knowledge dedicated to making your vacation fun and enjoyable.